West Coast Premier Construction Inc. (WCPC) is a San Francisco Bay Area based company. We provide structural engineering, construction and technical services to a variety of building types and occupancy use throughout the Bay Area. 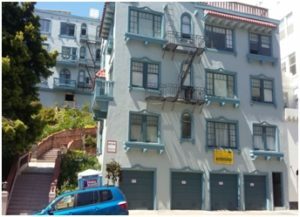 WCPC specializes in seismic retrofit design, engineering and construction of soft-story apartment buildings as well as seismic retrofit design and construction of unreinforced masonry (URM), non-ductile concrete, tilt up, and historic landmark buildings. We also provide full engineering and construction services on building projects requiring new construction, major remodeling, repairs or additions. Safety; Technical Excellence; Competitive Solutions; Timely Completion and Client Satisfaction. Our company carries all insurance coverage including General Liability, Workers Compensation, Automobile liability and Professional Errors and Omissions. West Coast Premier Construction has established itself as a leading design-build contractor in providing evaluation, engineering and construction services for seismic retrofit of soft story apartment and condominium buildings. We have retrofitted over 170 soft story buildings (signed off by the City). 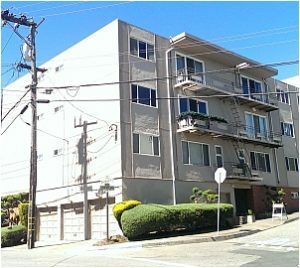 WCPC is currently providing soft story seismic retrofit engineering design, plans and construction on numerous multi story apartment and condominium buildings located throughout the Bay Area cities including San Francisco, Oakland, Berkeley and Alameda. These seismic safety improvements are intended to comply with the City’s recently adopted mandatory soft story ordinance. 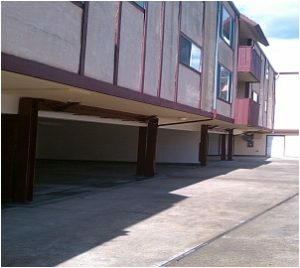 Soft, weak or open-front wall buildings, referred to as “Soft story buildings” are seismically vulnerable wood framed multi-unit multi-story apartments or condominiums which have tuck-under garage parking provisions and openings at the first (ground) level walls. Our company has extensive experience in seismic retrofit engineering and construction of unreinforced brick masonry buildings. 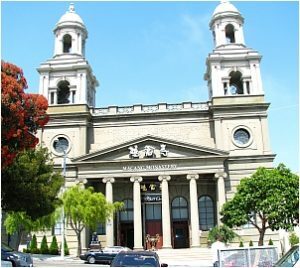 WCPC completed the earthquake retrofit for First Church of Christ, Scientist located at 1700 Franklin Street, San Francisco. 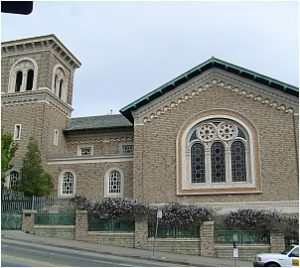 This unreinforced brick masonry historic landmark building accommodates a church auditorium with historic organ pipes, a balcony and a Sunday school that totals over 22,000 square feet in 3 levels. Several strengthening corrective measures have been incorporated (Five new shotcrete shear walls, three steel moment resisting frames, new plywood roof diaphragm, bracing of tall brick walls with structural steel members as well as attachment of brick masonry walls to roof and floors). In addition new handicap accessible ramps were installed at the main entry and at the sunday school and new handicap accessible restrooms were constructed at each level. The interior of the building received complete new painting and carpeting. All exterior wood framed windows were completely repaired, restored and repainted. This project was engineered by Sikaroudi & Associates, Inc. and managed by Architectural Resources Group, Inc. 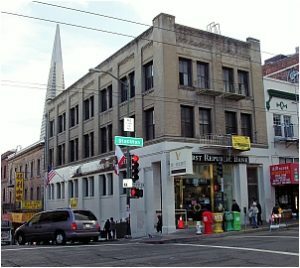 While retrofitting the building to the stringent “General Procedure” requirements of the San Francisco Ordinance for unreinforced brick masonry buildings, the design and construction goals were to preserve the interior and exterior historic features of the building. 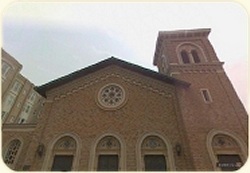 The church and Sunday school services remained operational throughout the construction work. 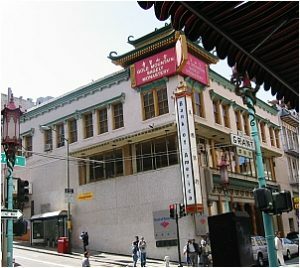 The construction started in April 2008 and was completed in June 2009 and signed-off by the San Francisco Department of Building Inspection. West Coast Premier Construction is managed by Homayoun (Homy) Sikaroudi PhD, MSc, PE and Fred Darouian B.Arch, who have over 50 years of joint professional experience in structural engineering, architecture, construction and project management with several hundred completed projects including soft story seismic retrofit, unreinforced brick masonry/concrete tilt-up retrofit, historic building preservation, major remodeling, additions and new construction throughout the Bay Area. This partnership facilitates complete engineering and construction (design/build) capability within the company with direct communication between the engineering staff and construction personnel, from start of the design process through the construction stages and upon obtain of the project Final from the City or the County involved. The end results are that our projects are completed safely, cost effectively, on time and on budget. Every project is personally managed either by Fred Darouian or Homayoun Sikaroudi (company principals) who will ensure the work is completed safely, on time according to the construction schedule, cost effectively and within budget, to the best engineering and construction standards and with minimum disturbance to the occupants, where the buildings are occupied. 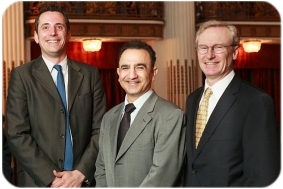 Homayoun and Fred have been able to foster excellent working relationships with City officials, building inspectors, plans examiners, regulatory agencies, engineers, architects, construction managers, sub contractors and other professionals. Many of our projects are awarded as a result of referrals and word of mouth of satisfied clients who recommend us to others for projects comparable to theirs. Homayoun Sikaroudi will be available to see you to discuss the engineering and construction requirements of your building project. Our full time design-office staff and field construction crew-members are highly experienced. Many have been with the company over ten years, a distinct track record of service and reliability. 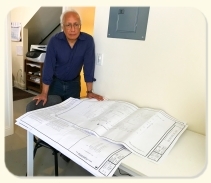 Farzin Eshtehar, Structural Engineer (SE) who brings over 30 years of structural design and earthquake engineering experience. Farzin provides consulting, structural design and seismic retrofit of our projects. At WCPC, we take pride in our technical expertise, informative approach, service and quality. We are obsessed with our clients’ (and their tenants’) satisfaction. Clients’ recommendation of WCPC is and has been our best form of advertising. Please do review our Projects Completed. 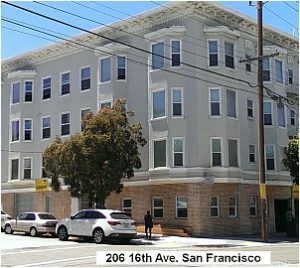 At launch inauguration ceremony of 815 Buena Vista West – Health Right 360 Walden House Drug and Alcohol Rehabilitation Building a 4-story Landmark Project funded by San Francisco Mayor’s Office of Housing and successfully seismic retrofitted by West Coast Premier Construction. Many of our projects are performed on a design-build basis, from inception to completion. This results to major savings in project costs and completion time. We also work with design professionals (including engineers and architects) and construction managers for private owners or public agencies. Multi-unit multi-story Apartments , Soft Story, Tuck Under Parking. Apartment & condominium buildings soft story seismic retrofit screening, evaluation and design in conformance to soft story Ordinance, including all City submittals. Complete engineering & architectural services including, structural and seismic retrofit evaluation, structural and architectural design, ADA handicap accessibility requirements, preparation of plans, calculations, submittals to the City, obtain of permits, field observations and obtain of the “Final” for the project. We also provide value engineering on projects previously engineered, to optimize the design and save costs without compromising safety standards and code regulatory requirements. Installation of complete new wood framed shear wall system. Shop preparation and field erection of new structural frames (steel moment resisting frames, steel braced frames or a combination of both) and seismic collector system. Installation of new reinforced concrete foundations for new seismic elements. Strengthening of roof and floor diaphragms with new plywood shear panels. Placement of new concrete shear wall systems consisting of reinforced concrete, shotcrete or concrete masonry block walls on new foundations, where required. Placement of steel anchors and hardware between the concrete and or brick masonry walls and roof or floor diaphragms (known as floor-to-wall combination anchors). Installation of secondary supports under main beams pocketed into unreinforced brick masonry walls. Installation of wall braces for lateral support of unreinforced brick masonry walls. Installation of parapet and chimney braces for unreinforced brick masonry walls. Strengthening of wood framed cripple walls with shear transfer clips, foundation anchor bolts, hold downs and plywood bracing. The above activities (excavation, concrete, masonry, steel and wood framing including finish works, etc.) are all provided by our own experienced full time field personnel. Complete ground-up construction (excavation, foundation, framing, utilities, finishes). Replacement of concrete foundation systems and base plates, sill plates and anchor bolts. Replacement of structural wood-framed, steel-framed or concrete-framed construction systems for and structural floors, walls. Installation of new roofing membranes, electrical, plumbing, mechanical, elevator system, communications systems, kitchens (with hood, fire safety and other mechanical/electrical requirements), doors, windows, storefronts, handicap accessible restrooms and interior/exterior finishes, including stone, wood and metal, throughout the project. We work with a network of cost effective, fully insured and fast track sub-contractors which normally provide the non structural activities of our construction. 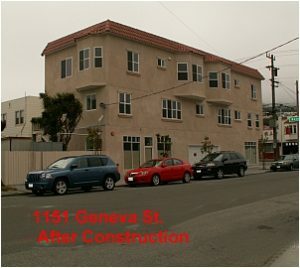 Compliance with San Francisco Ordinance # 51-16, Mandatory Disability Access Improvement Program. Checklist compliance form and compliance affidavit. Visit building, take photos, complete checklist compliance form for primary entry compliance ckecklist. Design accessible entry, obtain permits, provide construction, City inspections and obtain of approvals. West Coast Premier Construction has established itself as a leading design-build contractor in providing evaluation, engineering and construction services for seismic retrofit of soft story apartment buildings. We have retrofitted over 170 soft story buildings (construction completed and signed off by the City). 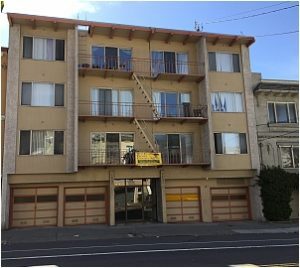 WCPC is currently providing soft story seismic retrofit plans and construction on several multi story apartment and condominium buildings located throughout the Bay Area cities including San Francisco, Oakland, Berkeley and Alameda. These seismic safety improvements are intended to comply with the City’s recently adopted soft story seismic ordinance. Soft, weak or open-front wall buildings, referred to as “Soft story buildings” are seismically vulnerable wood framed multi-unit multi-story apartments or condominiums which have tuck-under garage parking provisions and openings at the first (ground) level walls. Contact our company if you wish to comply with Mandatory Soft Story Program, or need assistance with retrofit of your building. Cost effective soft story seismic retrofit engineering design and construction strengthening measures are implemented by WCPC which significantly improve the earthquake resistance of the buildings without a loss of use of the parking space or the compromise of the building aesthetics. After the retrofit, the property is removed from the city’s inventory list of soft story hazardous buildings. Please refer to the Projects Completed section of our website for a partial list of recent soft-story seismic retrofit projects completed to date. Our company provides soft story screening and evaluation, soft story seismic retrofit engineering design or soft story engineering and construction (design/build). We also provide construction for retrofit design provided by other engineering companies. Contact us if your looking for soft story retrofit Engineer; competitive soft story retrofit costs; soft story retrofit construction. Tier I Buildings; Group A, E, R2.1, R3.1 or R-4 Occupancy on any story. Tier II Buildings; 15 or more dwelling units. Tier III Buildings; Not falling within definition of another tier. Tier IV Buildings. That contain a Group B or M occupancy on first story and that are in mapped liquefaction zone, except for Tier I buildings. 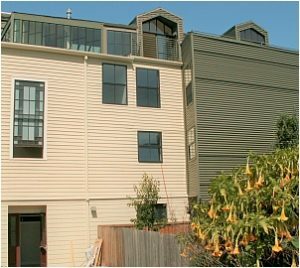 See our Projects Completed in San Francicso for Soft Story Buildings completed there. 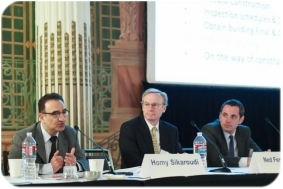 Symposiums on Seismic Soft-Story Engineering and Construction – Our company Principal, Dr. Homy Sikaroudi is regularly invited as speaker in seismic retrofit symposiums and real estate trade expos. 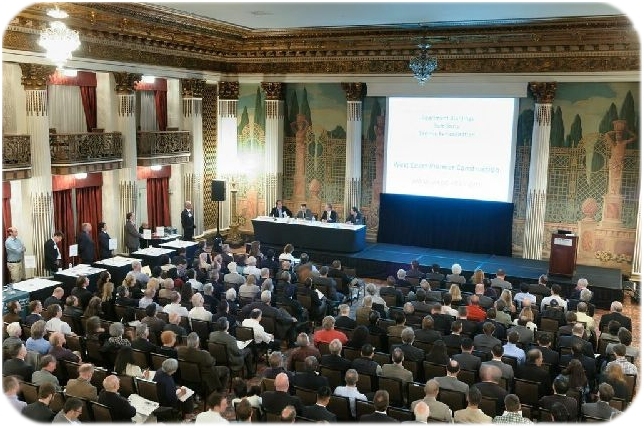 The pictures below are from a soft story symposium hosted by Marcus & Millichap Real Estate Company at Westin St. Francis Hotel, San Francisco in May 2013, where Homy Sikaroudi was one of the key note speakers. 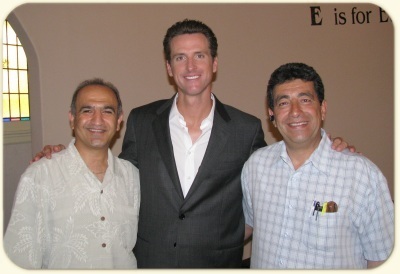 … I have known and worked with Homy Sikaroudi over the past many years and have hired his company to complete construction work on several of my residential properties, including a substantial seismic retrofit of a large and very prominent church building. 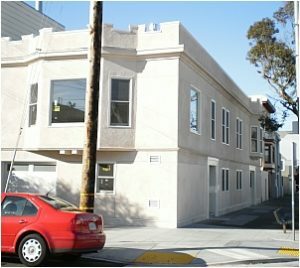 During the year 2010, West Coast Premier Construction Inc. (WCPC) performed seismic rehabilitation work on 4 buildings I own in Alameda. All buildings were constructed around 1930 with a ground level soft story and 3 levels of apartments above. … WCPC is one of the best contractors we have ever worked with. They are on time, on budget, conscientious, and understand and respect the client’s needs and goals. WCPC is consistently able to be very detail oriented while never losing sight of the big picture. … WCPC produce high quality work at a fair price, and often devise cost-saving, efficient solutions to field problems. 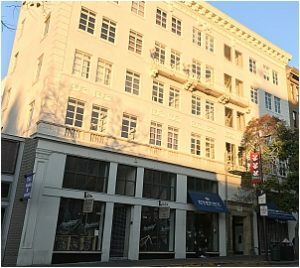 …West Coast Premier Construction has been our General Contractor on several seismic retrofit, tenant improvements and restoration of masonry building projects, some of which are of architectural and historic value. …WCPC personnel work well with architects, engineers, construction managers, city inspectors, clients and tenants of the building projects they work on. They have gone out of their way as to even working graveyard shifts to minimize disturbance to the tenants and customers when buildings are occupied. … They could not have done a better job as they were competitively price wise, did an outstanding job interfacing with the San Francisco Building Department. Homy Sikaroudi was delightful to work with. … From drawing up the plans, obtaining the permits, and most importantly, completing the job on time and on budget, your work was exemplary. Equally important, the job was completed from beginning to end with a minimal amount of disruption to our tenants.